Recently I was given the opportunity to visit Kings Island for the Banshee Brewfest. 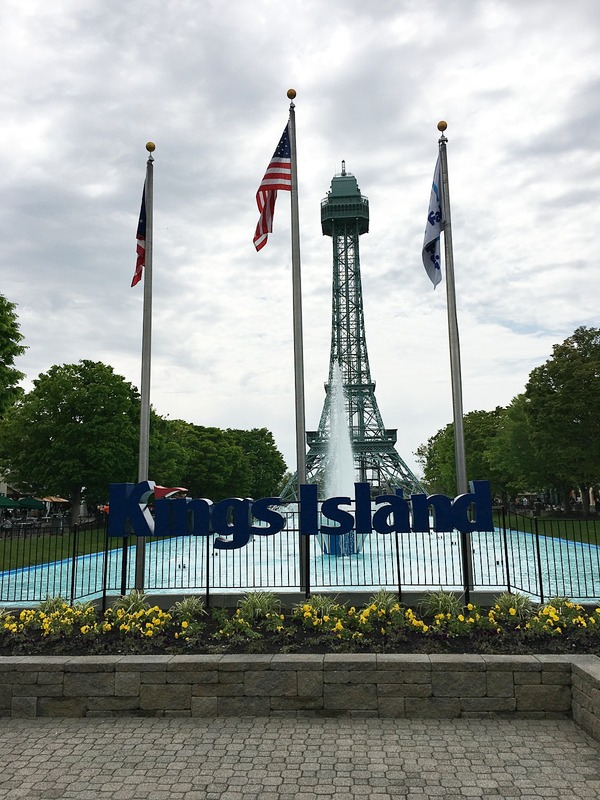 Prior to last Saturday it had been many years since I had been to Kings Island so I was really excited, not just for the Brewfest but to check out the park with the family. We arrived shortly after the park opened with our daughter in law, 13 year old son and our 3 & 1 year old grandsons. We decided to park in the preferred parking which is a little more than regular parking but for us well worth it because it meant we were about five minutes from the front gates. With the possibility of rain and plans to have lunch at our car this meant we could quickly get from the park to the car and back again. Once inside the gates we made two purchases which were a great deal and you should consider. First was the souvenir drink cups which you can refill as many times as you like, all day long, for free. This is especially a good deal if you share cups. Oh a tip! The cups are a few dollars cheaper online so if you plan to purchase one or more then consider purchasing online, before you go. The second purchase was the Single Day FunPix pass. With the FunPix card, you can be photographed at the front gate, on rides equipped with cameras, with park characters, or wherever you see one of the park photographers. You can also use the selfie option at specially designated FunPix Photo Spot locations where you just open the park app and scan a QR code with your mobile device to unlock frames and borders for one-of-a-kind photos. You can purchase the FunPix pass online as well but make sure to remember your vouchers for both the souvenir cups and FunPix Pass. I would highly recommend you download the Kings Island app. Not only will it enable you to access your FunPix pictures, if you purchase them but it gives you all kinds of other great information. Some of our favorite things about the app were the ability to mark our parking spot, view park maps and receive offers while in the park for great discounts. The Brewfest started at 4pm so that gave us five hours or so to check out the rest of the park and enjoy some rides. I think we spent four and a half of those in Planet Snoopy. It’s hard to say no to little faces full of excitement asking to ride more rides. If you have kids you are going to love Planet Snoopy! It really is setup very well and full of rides that the littles can enjoy. 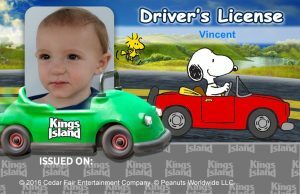 Don’t miss the station where you can have the kids photographed and then purchase a personalized driver’s license with their photo on it. So, you may be wondering how the Brewfest was. It was awesome! I will be honest that when I saw the cost of the tickets I was skeptical as to the value vs. cost but it was definitely worth every penny! The event ticket included 15 (5 oz.) beer samples, a souvenir mug, two food entrees with a side and live music. It was a very well planned event and they even had a designated driver option. There were samples of craft beers from all over the country with more than 50 breweries and 200 beers and hard ciders. My favorites were the hard ciders. I’m not a huge fan of beer but I had a great time trying the different ones out and talking with the owners of the smaller breweries. There were four food stations and the food was really good! I didn’t expect to enjoy it so much so that was another pleasant surprise. 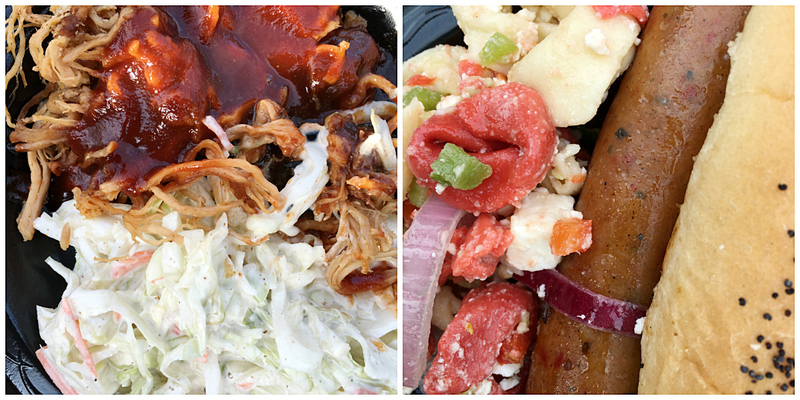 There was pulled pork and coleslaw which happened to be my personal favorite! It was served without a bun which was perfect for me and the coleslaw was the perfect pairing with the pulled pork. There was also Chicken Quarters & Roasted Corn which we didn’t try but looked great! There was Grilled Chicken Wings & Broccoli Salad which my husband tried and enjoyed. Finally there was Italian Sausage & Tortellini Salad, the Tortellini Salad was a huge hit with my husband. I loved the setup in the food tent. It really looked nice, flowed well and was an enjoyable atmosphere. The staff who were serving the food were lots of fun too. 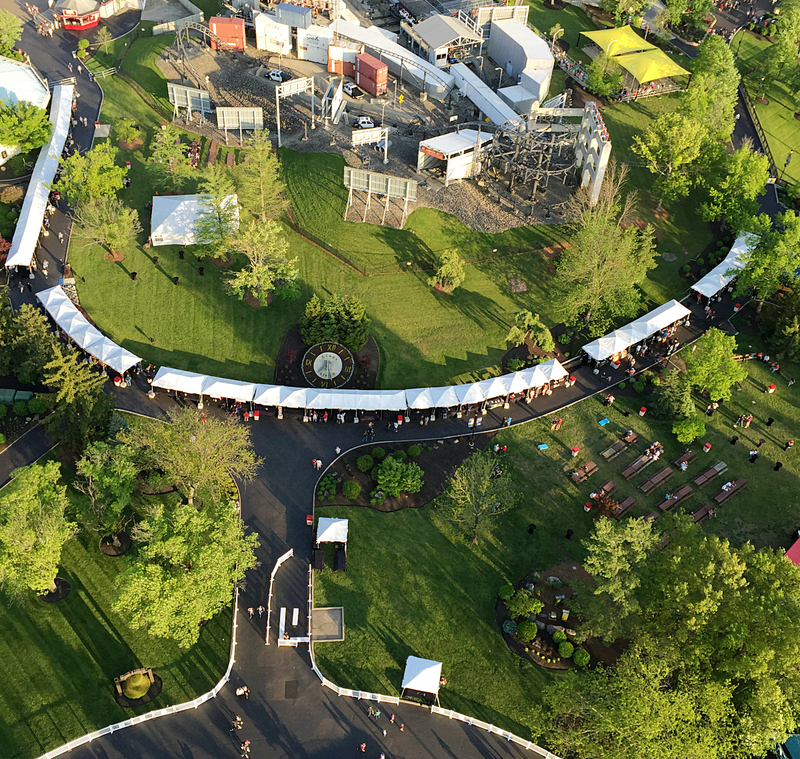 We’re hoping to get back to Kings Island for the Food Truck Festival which is taking place June 3, 4, and 5th. You may want to check it out too if you love food trucks. There will be more than 20 food trucks and for this event you get all the thrills of the park along with the opportunity to check out the food trucks for the price of admission. Here’s a fun little fact. Did you know that The Brady Bunch filmed an episode at Kings Island in 1973. This post was originally posted on Yours And Mine Are Ours.